Anyone else seen cracks develop here? I'm wondering if this flexxing could be part of my wheel hop also. (I've beefed up all my link mounts and am running overkill adjustable links) how much bracing do you guys think I need to weld in and where to prevent this from flexing? 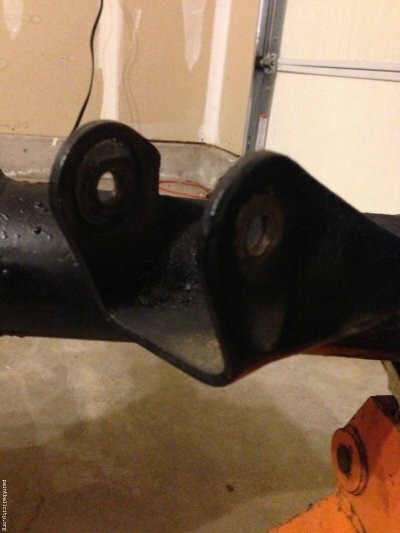 Are you runnig traction bars or raised upper control arm brackets ? 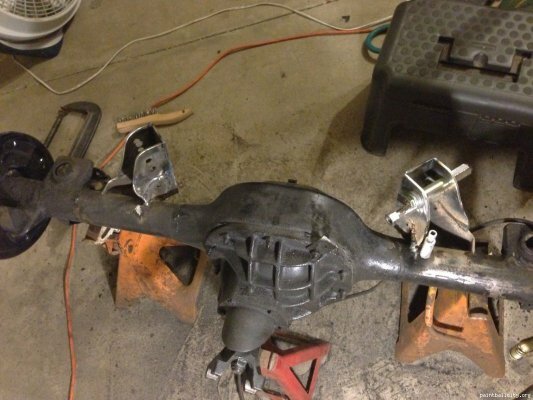 The Motion V8 Vega's used upper control arm relocation brackets that raised the axle mounting points about 3 inches. There is a guy on Ebay selling reproductions of the Lakewood Traction bars for Vega's. Some people also run poly bags inside the rear springs. Stock vega's have wheel hop, this will cause and accelerate cracks in the rear floor. I would weld up the crack and try some of the above to stop the wheel hop. Imo if your making decent power, your better off running a straight upper link bars. As well as moving the rear mounting point up. When it comes to all mounting locations, you better off making brackets with multiple mounting locations. 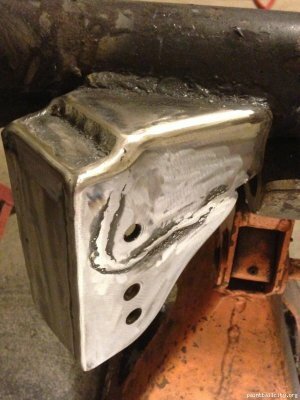 (Similar to what the guys are using on foxbody mustangs) If you have a cage, which most of the cages ive seen installed in h-bodies don't incorporate this, but I prefer tieing the upper and lower front mounts into the cage/subframe connectors. I would agree that straight upper links would be stronger and easier to make, but a most people buy the stock shaped ones and then find out they need to raise the upper mounts and could have used straight upper links. Traction bars stopped my wheel hop,it was violent before. I put hop-stop upper control arm relo brackets, it went from violent wheel hop to zero. 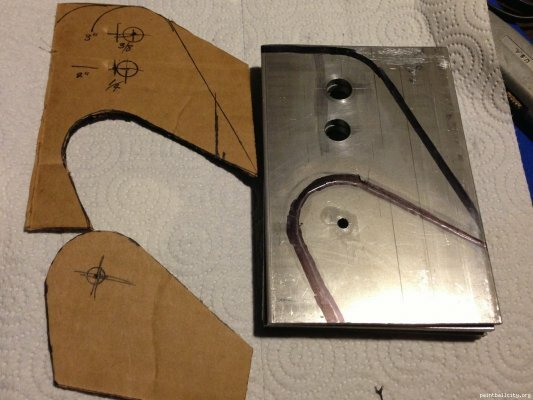 Originals come up on ebay or someone here has blueprints to build your own. Hmm that there looks tempting.. I could build those pretty easy, and that there stopped your wheel hop completely? Yes, it cured the wheelhop problem.